LACEnano is one of the fastest growing tattoo equipment companies because we always put the customer first. On top of offering you cutting edge tattoo equipment, we pride ourselves on our comprehensive business philosophy that takes care of our prospects by providing an unmatched satisfaction guarantee. Shop with us today and see the difference. 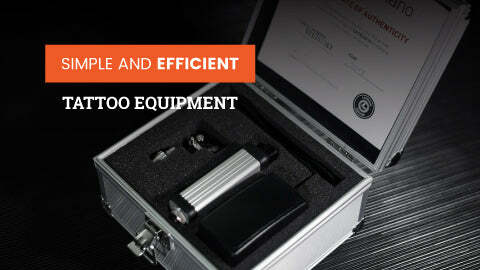 We realize that our extremely light and highly adjustable tattoo equipment might not be everyone's cup of tea. So to protect you from regretting your purchase we are offering 30 days no questions asked money back guarantee. Just send us the equipment and get your money back! You should receive your new toy fast! For that reason, we have partnered with worlds famous DHL shipping company, which takes care that your order will arrive quickly and in perfect condition straight to your door. As soon as your order is shipped, we will provide you with a tracking number so that you can keep an eye on your order. We also take your tattoo equipment after you got it from us. Now you are considered a part of a family and are treated as such. In case of any misfortunes with your LaceNano gear just contact us, and we will make sure to take care of it and send it back to action as soon as possible. At the LaceNano we use leading industry safety standards, protecting your personal and financial data, providing you 100% safe and secure shopping experience. There is always something new cooking in our workshop. Be it an entirely new machine or some minor improvements. Whatever it is, as soon as it is to ready to go out, our existing customers are the first to be on our VIP and preorder lists.